Mac users must know just how useful and intriguing the platform is. It would be noteworthy to state that the operating system has its own shares of benefits. Being an advanced OS, Mac certainly lets users come across the freedom of exploring a wide range of apps, and the benefits are indeed unmatched. The main purpose of writing this post is to enlighten readers with the usefulness of the Joyoshare Screen Recorder on the Mac devices. 1 Why Choose Joyoshare Screen Recorder? 2 How to Use Joyoshare Screen Recorder for Mac? Why Choose Joyoshare Screen Recorder? If your list of priorities includes occupying your Mac devices with a good enough screen recorder, then you must be familiar with the advantages of Joyoshare Screen Recorder. Apart from being an all-in-one screen recording app, Joyoshare Screen Recorder for Mac is also a smart and independent audio capturing tool to record the device’s sound. It happens to be a complete video capturing tool that enables users to record screen videos and audios concurrently on the Mac device. Being one of the most advanced screen recording tools, it is also available for other operating systems. The best part is that, Joyoshare Screen Recorder is capable of saving the screen recording in multiple formats sans losing the quality, ranging from MOV, MKV, WMV, FLV, SWF, WAV, MP3, to so on and so forth. How to Use Joyoshare Screen Recorder for Mac? In case you’re scratching your head to know whether or not the tool has its availability for Mac, then the million dollar answer is yes. 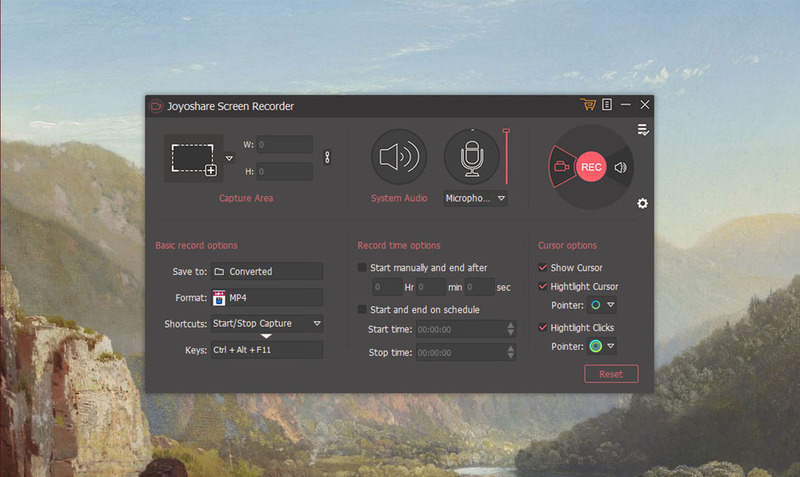 And the good news is, Joyoshare Screen Recorder is available for all Mac users. But you just need to know some tweaks to install the tool on Mac machines. Below, there’s a complete list of steps which will make sure you download and use the software accordingly without facing any problem. Keep reading on and know the steps in brief. Also Checkout CouponBirds Review – Is It The Best Coupons Site? STEP 1: First, you will have to install Joyoshare Screen Recorder on your Mac device. STEP 2: Second, you will need to launch Joyoshare Screen Recorder on the Mac machine. STEP 3: Visit ‘Capture Area’ option and hit the ‘+’ button accordingly. A window will pop up eventually. Drag the frame and position it accurately. Also, you can include your preferred width and height value accordingly. STEP 4: Upon this, you will have to proceed with the ‘deciding recording’ options. At the bottom right corner, there’s the ‘gear’ icon. For personalization, customize it accordingly. STEP 5: Now, start recording the video or audio with the help of Joyoshare Screen Recorder for Mac. Remember to launch and enter the website and finally press the ‘REC’ button. In addition to this, make the captured videos or audios manageable. You can hit the ‘Stop’ button directly and save it in ‘History list’ folder and correct the ID3 tags. Thus, this compiles the step-by-step procedure to download and use Joyoshare Screen Recorder on your Mac devices. The tool will enable you to capture any onscreen audio or video with the lossless quality.